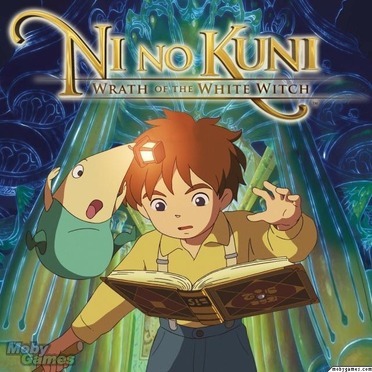 Ni no Kuni: Wrath of the White Witch is a heart-warming tale of a young boy named Oliver, who embarks on a journey into another world to become a wizard in an attempt to bring his mother back from the dead. Along the way Oliver makes new friends and tames many of the wonderful creatures that inhabit the world, raising them to battle other creatures on his behalf as he takes on formidable enemies. Features: All-Star Production - LEVEL-5's mastery of the RPG genre is combined with Studio Ghibli's world-class animation and music composed by the renowned Joe Hisaishi. Another World - Stunning visuals, made possible by utilizing the full capabilities of the hardware, create the world of Ni no Kuni and immerses players into Oliver's journey within this vibrant, animated world. Captivating Story - A charming and tragic tale unfolds including animation storyboarded and created by Studio Ghibli with English and Japanese voice overs. Role Playing Mastery - New and traditional RPG elements expertly crafted and designed featuring dozens of locations to explore, hundreds of creatures to battle and a wealth of quests and secrets to uncover throughout the sweeping journey. Dynamic Fights - Freely switch control of characters and familiars in an exciting battle system that combines real-time and turn-based tactical elements.